The suburbs that our office service forms part of the greater Pretoria East and more specific the southern suburbs, east of the N1 highway and south of Lynwood road, situated 12 kilometres southeast of the Pretoria city centre. Our area has easy access to the N1, R21 and N4 for quick access to Centurion, Johannesburg or Pretoria. This sub-urban area is well established with spacious homes, flourishing treed gardens and streets, beautiful views with the uneven landscape, secure townhouse and cluster complexes and gated security areas. The Moreleta Kloof Nature Reserve runs through the suburbs where game can observed with run and walk pathways. The well-known Rietvlei Nature Reserve, one of the world’s largest urban nature reserves, borders on our boundaries. We have a broad mixture of properties: upmarket single stand housing, gated security residential areas, smaller higher density units. 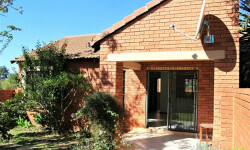 Our Properties vary in price from R 650 000 up to R 3 900 000. The area is rich in private and public schools and has quick access to various tertiary institutions. Living in this area you have the Menlyn Park, Park View and Woodlands shopping centers close by, the Pretoria-East and Kloof private hospitals, no fewer than 3 golf courses nearby- Wingate Park, Woodhill and Silverlakes, - green parks and biking and walking trials. The mix of classic and modern properties and the facilities and easy access cater for both old and young. Our agent’s knowledge of this lovely suburbs will be of value to all potential buyers and sellers. 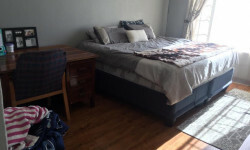 01 Byls Bridge Promenade, Bloukrans Road, Highveld, Centurion. POPI Act is coming into effect!